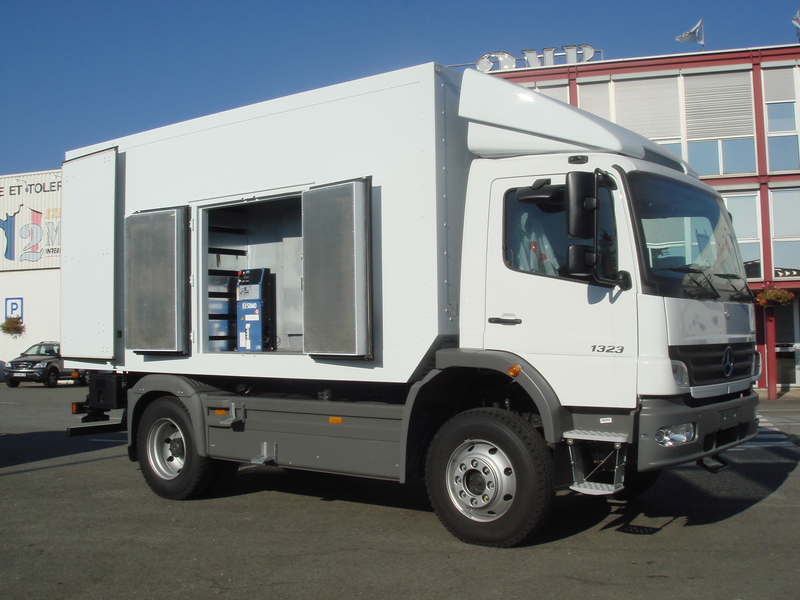 2MB designs and constructs truck bodies and chassis special interfaces, for spares storage and as repair workshop, fitted on 4x4 or 6x6 all terrain trucks. 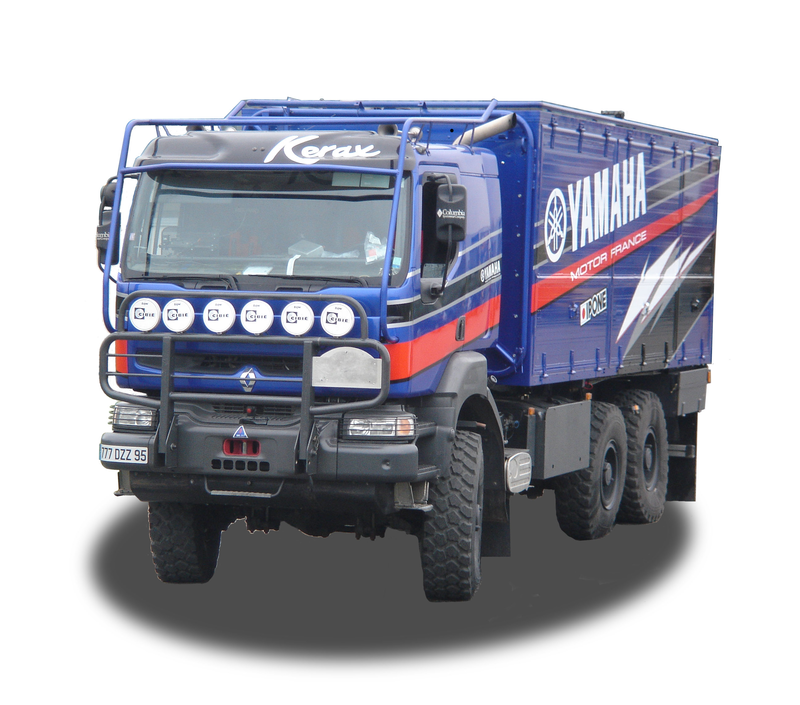 They are all weather and environment proof and used for the race itself or as assistance vehicles. 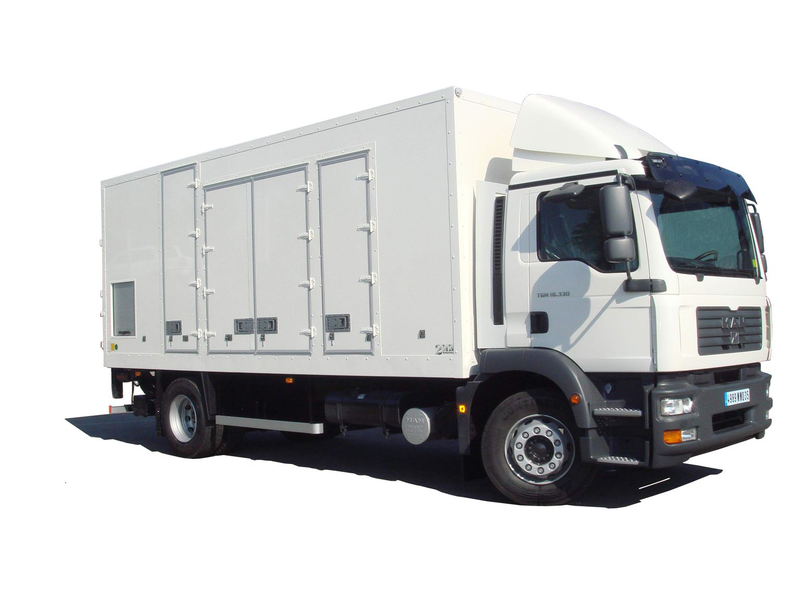 From trucks or trailers at road standard width, we design and construct spécial bodies with lateral one or both side extensions to provide wider usable area in working configuration. 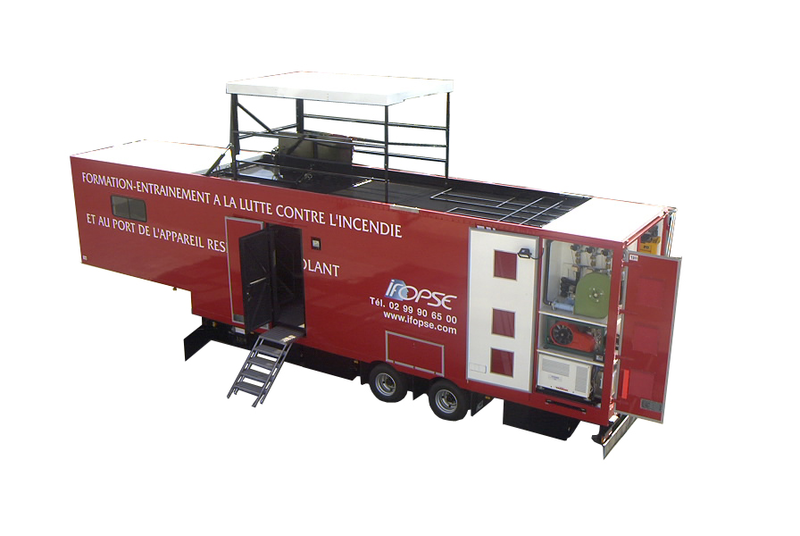 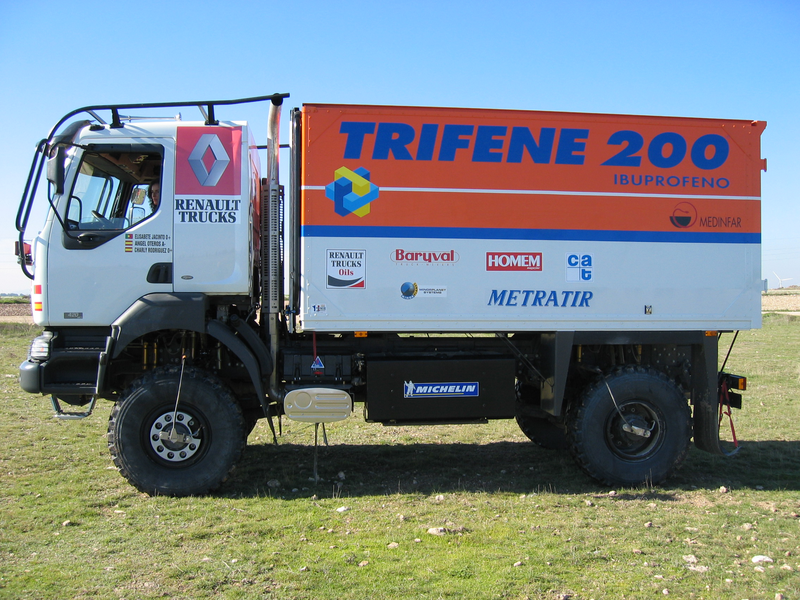 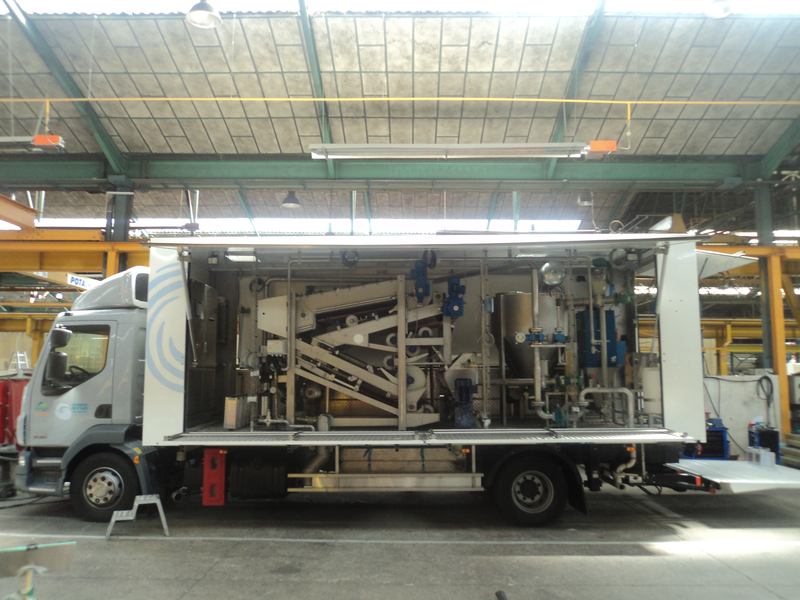 We fit on 4x2 and 6x4 trucks or on semi-trailers, high power diesel generators up to 2x450 kVa. 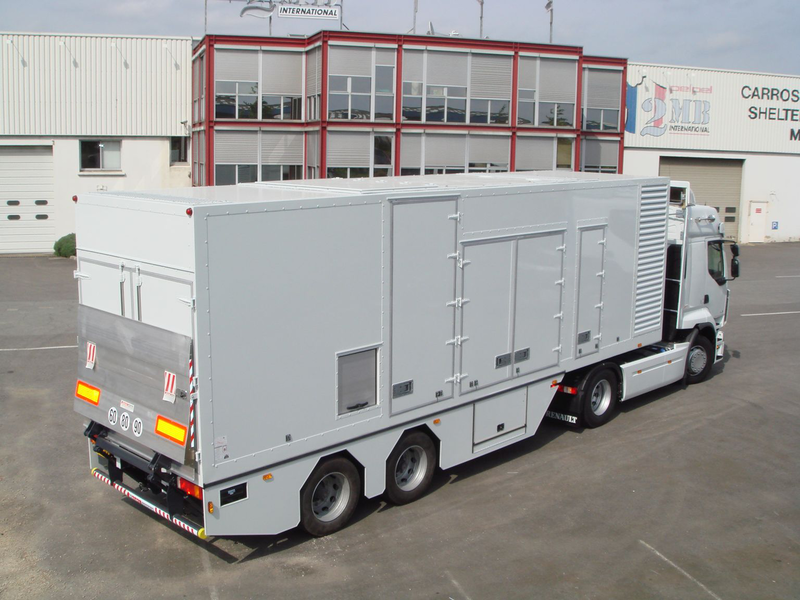 To be positioned on events sites, they are easy and fast to be connected and with high level of noise insulation (62 dBA at 1 m).